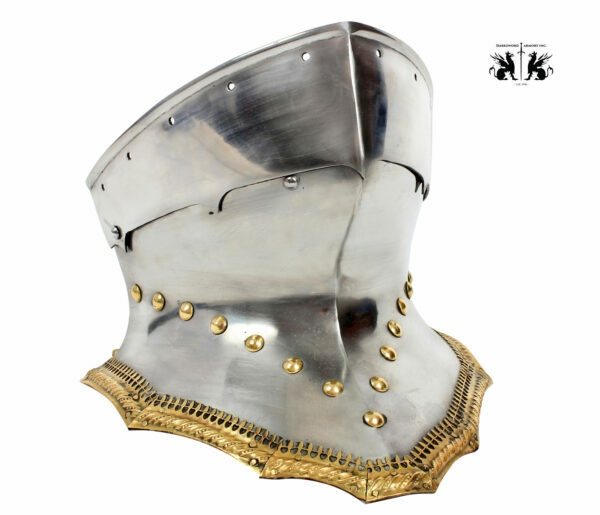 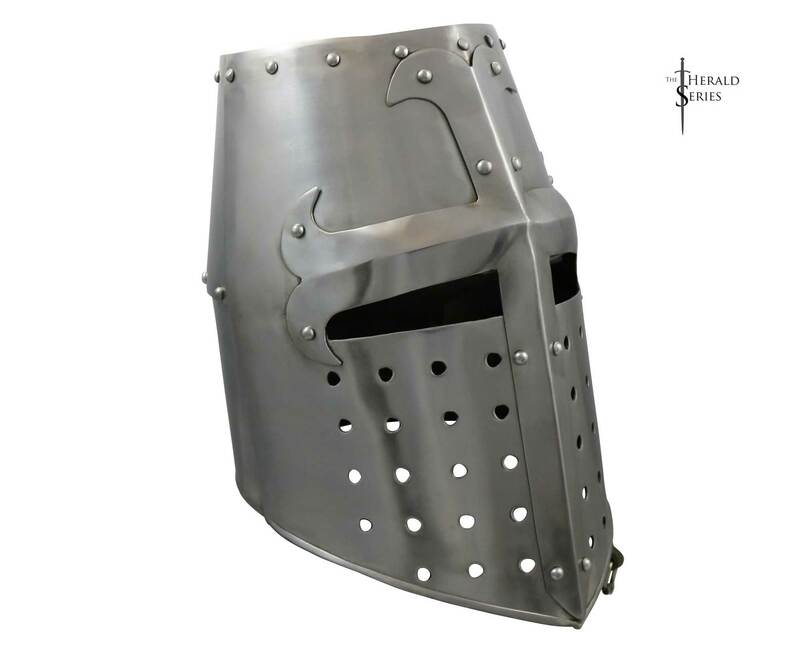 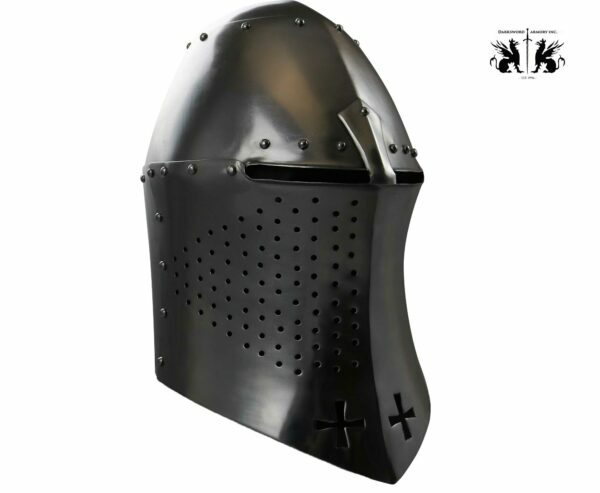 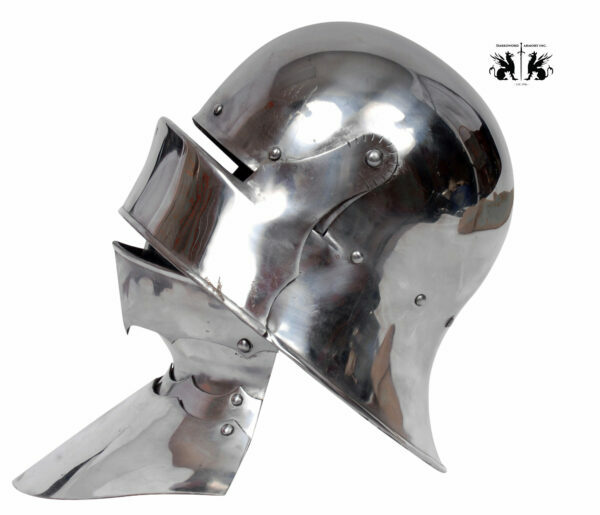 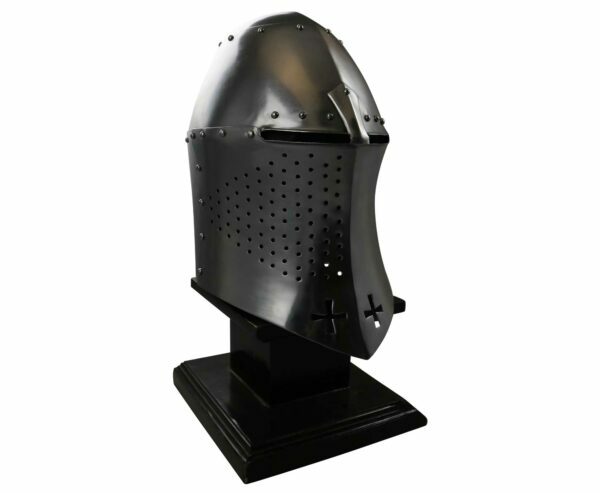 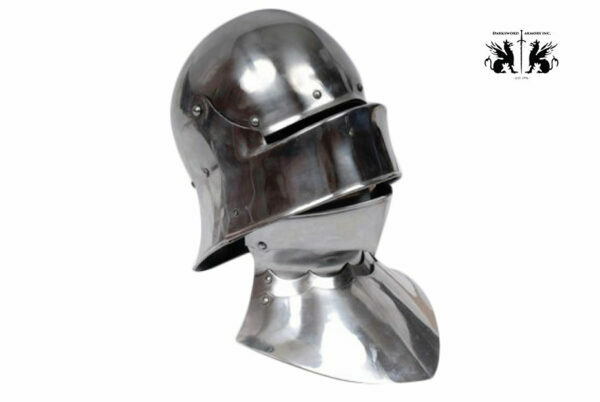 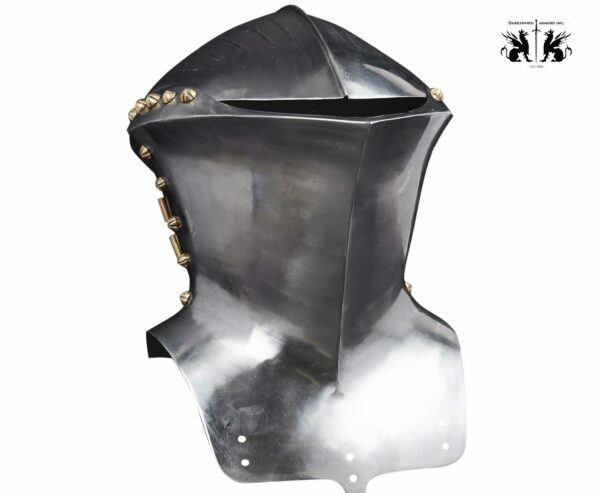 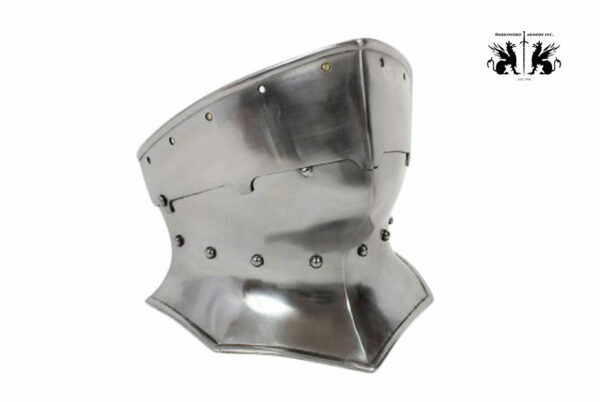 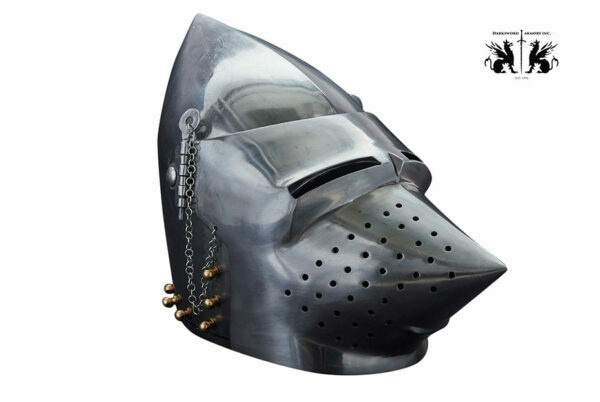 Popular between the 12th to mid 14th century, the Great helm, also known as the heaume or pot helm, arose in the late twelfth century in the context of the crusades and came to be the iconic helmet of the crusaders. 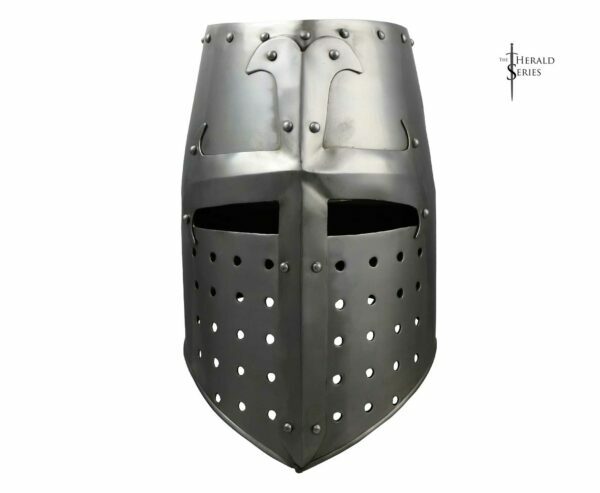 The Great helm evolved from the earlier Nasal helm warn by the Normans and widely depicted in the Bayeux tapestry. 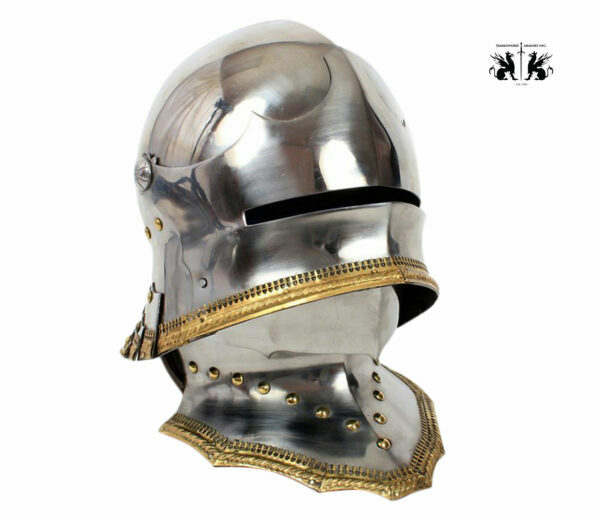 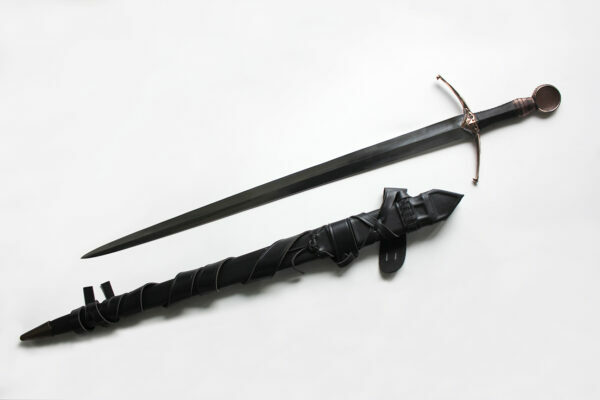 the 14th Century is one example of the ceremonial use. 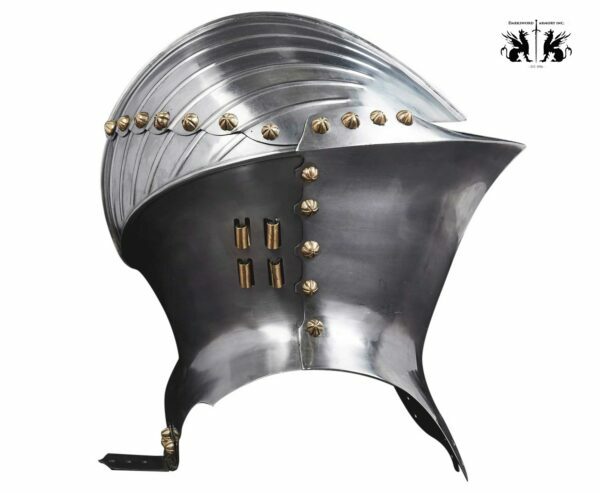 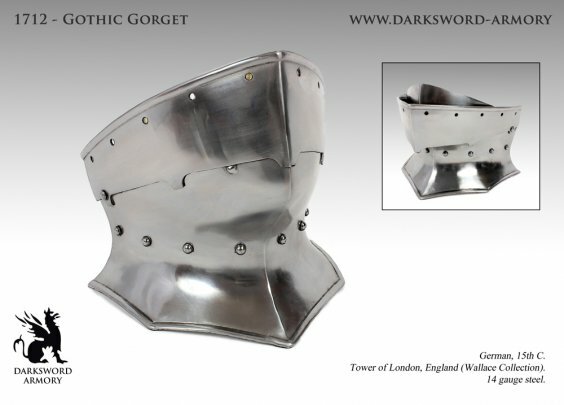 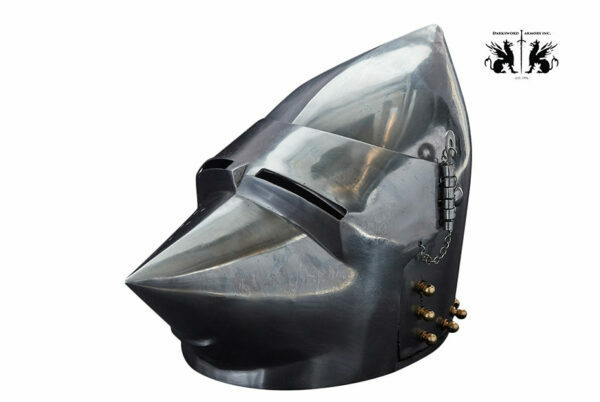 By the 14th century the great helm evolved into the frog-mouth helm or stechhelm, meaning jousting helmet in German.